She was born in İstanbul in 1983. She studied English Teaching in Eskişehir Anatolian University. She started to write in 2001. Her writings had been published in many journals and magazines. She worked as an editor for a children magazine. In the meanwhile, she started to work as scriptwriting for television and carried out more than hundreds of documentaries. 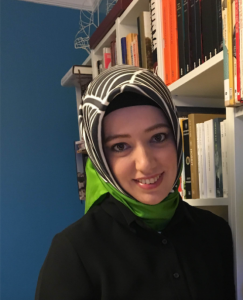 She is student for second time in Latin Language and Literature in Literature Faculty of İstanbul university and the writer of beloved cartoons for kids. She is the writer of Kovun Beni Bu Okuldan and Offf Çok Sıkıldım.